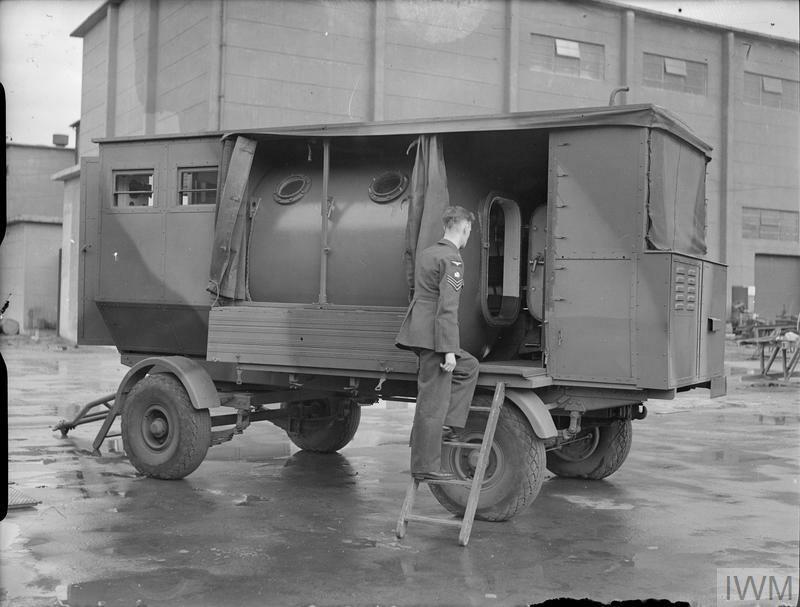 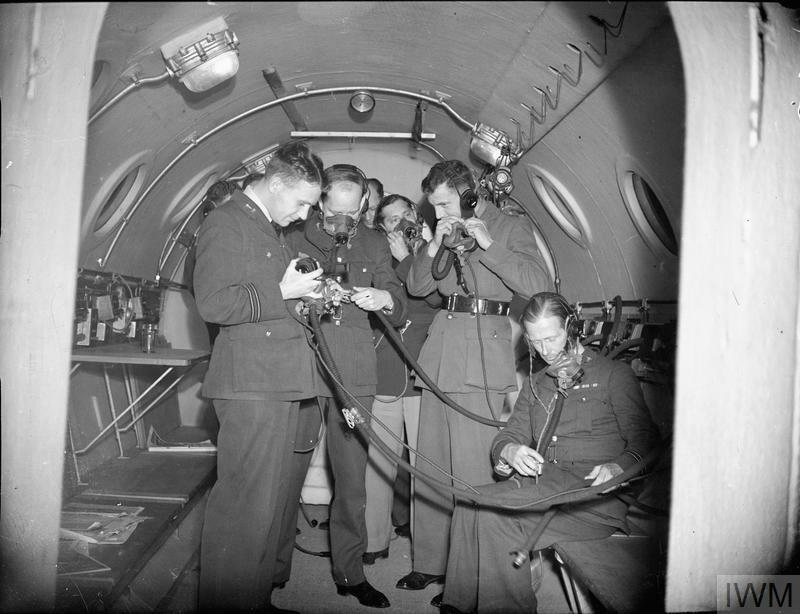 THE ROYAL AIRCRAFT ESTABLISHMENT, FARNBOROUGH, 1939-1945. 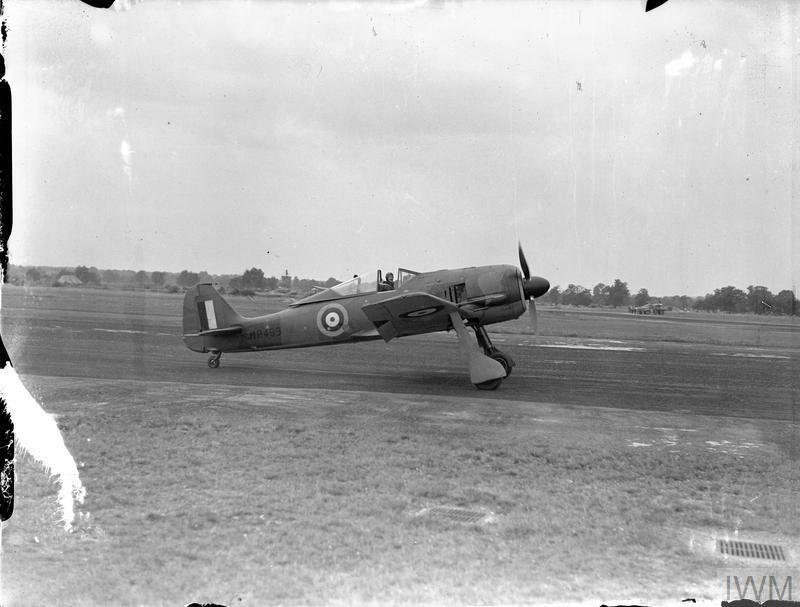 Captured Focke Wulf Fw 190A-3, MP499, taxying at the Royal Aircraft Establishment, Farnborough, Hampshire, with the RAE's chief test pilot, Wing Commander H J "Willie" Wilson at the controls. 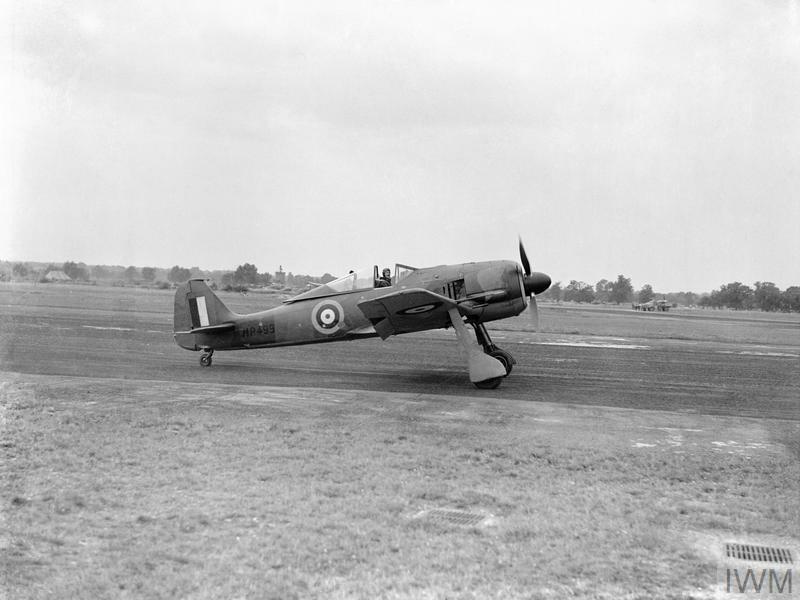 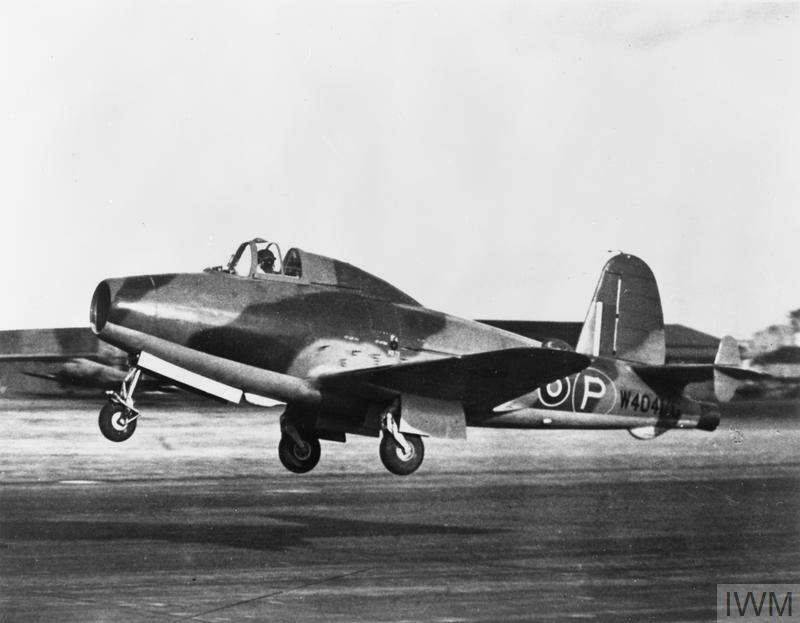 Although formally transferred to the Air Fighting Development Unit in July 1942, MP499, was retained by the RAE, undergoing extensive evaluation by flying and technical staff, including a programme of trials with contemporary Allied fighters. A captured Focke Wulf Fw 190A-3 at the Royal Aircraft Establishment, Farnborough, with the RAE's chief test pilot, Wing Commander H J "Willie" Wilson at the controls, August 1942.